As you know if you're following my blog - I LOVE COFFEE. I love it in the morning, I love it in the afternoon and I love it at midnight. I had a difficult question to answer this midnight: coffee or tea. Usually I cook coffee the fast way in my moka pot - check this post of mine I'm adding some milk and voilà. 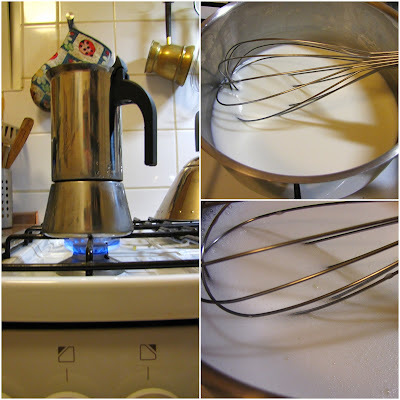 But today I decided to use those 3 minutes until the coffee is ready and I warmed some milk up which I foamed a little bit with a wire whisk. I poured the milk into a glass and added the coffee. 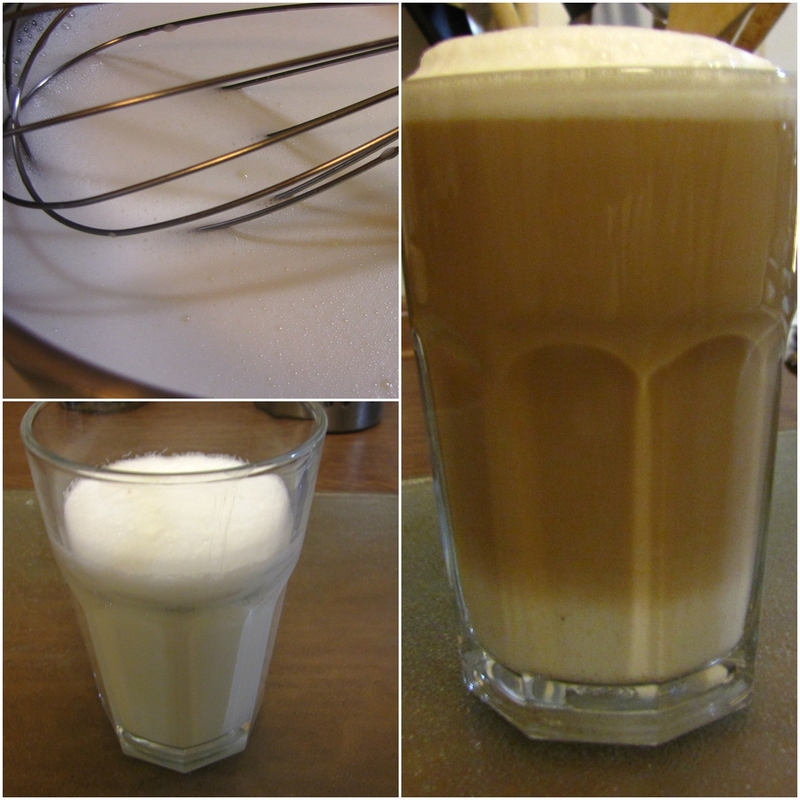 If I foamed it for a while longer and poured the coffee slower I would get a perfect milk-coffee-foam mixture. But anyway it does not look so bad at all if you bear in mind that a) it was exactly 12:20 am, b) I went lazy, c) it took me exactly 3 minutes to prepare everything. Be sure the coffee is delicious! I'm sipping it right now. If you take normal coffee you prepared in a coffee machine and foam some milk and serve it in a bowl, you will get a great café au lait. 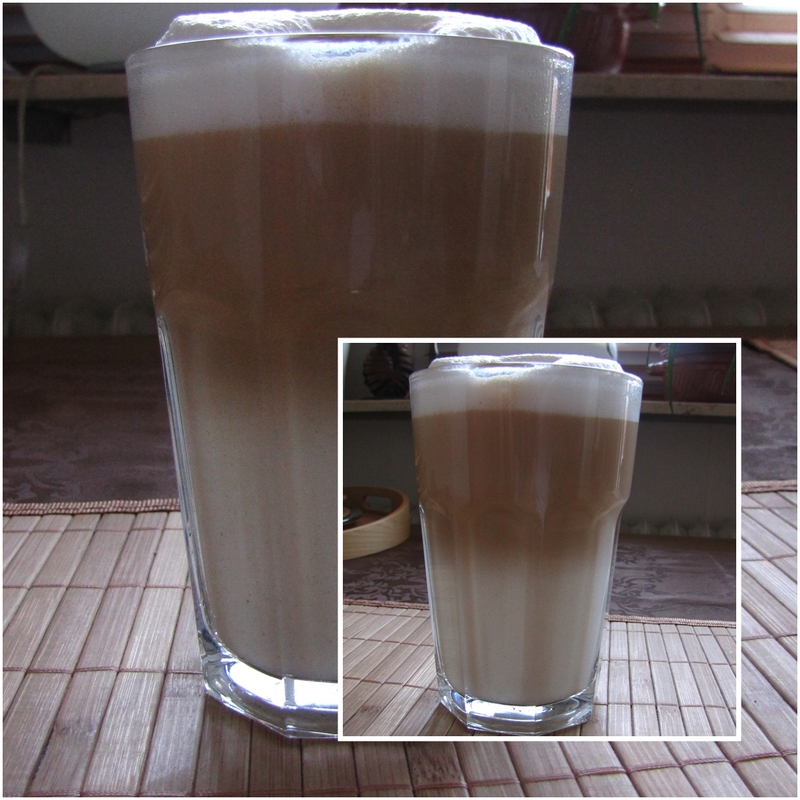 That's the difference to the caffé latte I made - the way how much you foam the milk, the way you prepare the coffee and the way you serve it. It was a second question I had to answer: Do I want it the French or the Italian way. I decided to go Italian. But at the end it's just a delicious and simple coffee with milk. Since I quit using my electric espresso machine and nearly all other electric kitchen devices except the food processor I am getting better and better in doing things manually and finding ways to increase the speed of the stuff I am cooking. God bless my gas stove! Ciao! Update 29th March 2013: Second try - now it looks the way it should look like!